INCREDIBLY COMPACT. UNBELIEVABLY LIGHT. 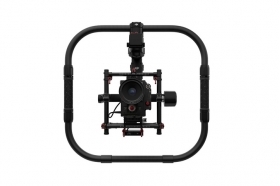 Weighing just 5 pounds (2.3kg), about half the weight of the original Ronin, the slimmed down Ronin-M is small enough to fit into your backpack and take anywhere, yet strong enough to support camera setups weighing up to 8 pounds (3.6kg). 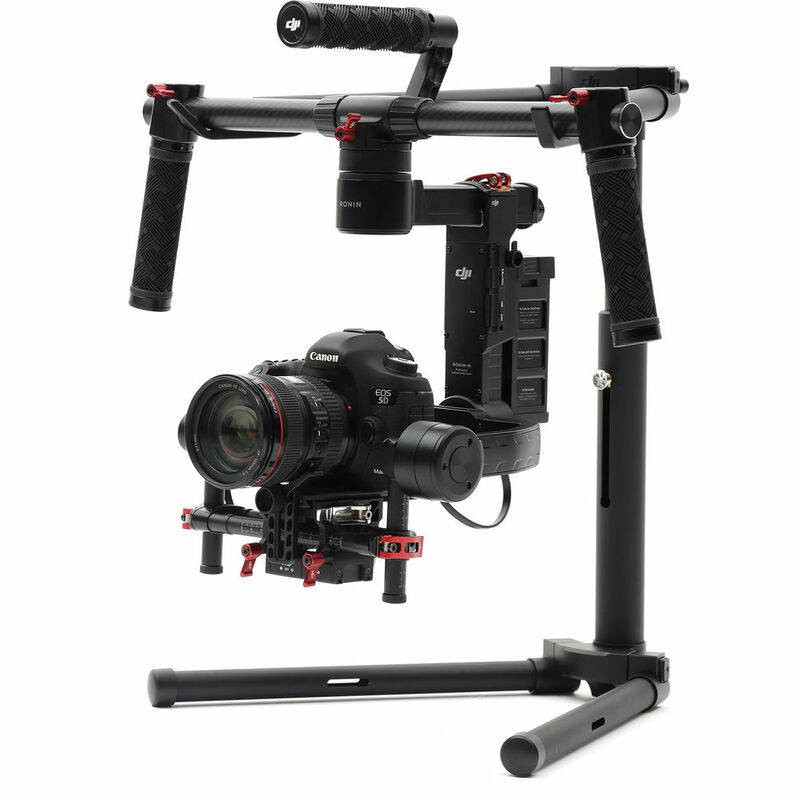 FAST SETUP, PRECISE BALANCING Save time and start shooting professionally stabilized video in under 5 minutes. 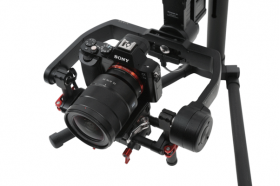 Mount your camera to the Ronin-M, quickly balance it, and then tap a button. The upgraded ATS (Auto Tune Stability) technology is more precise than before and completes the tuning and balancing processes with no tools necessary. Easy and efficient. 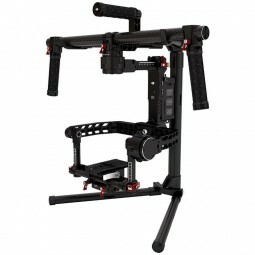 NEW MAGNESIUM FRAME Your Ronin-M stands up to rugged use in any filming environment. 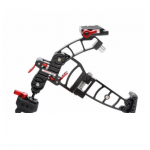 Featuring a superbly strong and rigid magnesium frame, the Ronin-M brings increased stiffness and reduced weight. Notoriously difficult to manufacture and mold, magnesium brings you a new, more exact shooting experience while maintaining easy maneuverability and increasing options on set. SOLID SUPPORT ARM Increased rigidity is provided by a single, complete piece of fine-tooled magnesium that forms the U-shaped arm holding the camera plate. Only made possible by DJI’s large manufacturing reach and expertise, this unified design eliminates imperfections that are common in systems made of multiple pieces assembled together. This arm gives you not only greater stability but also reliability, as there is no potential for separate pieces to come loose or move apart. 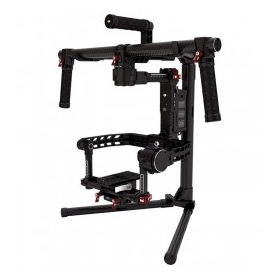 SIMPLE DISASSEMBLY FOR UNMATCHED FLEXIBILITY Capture tight shots, even when you have almost no space to work, and easily transport your Ronin-M. The top handle bars quickly and easily twist off, allowing you to minimize its size, achieve different shooting configurations, and pack or unpack it in seconds. 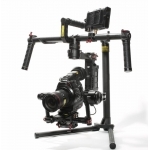 SMOOTHTRACK CONTROL Even with only one operator, SmoothTrack technology ensures the Ronin-M translates your movements into smooth camera angle changes. Your camera intuitively faces the direction you want, all while completely stabilized, no matter how you move. 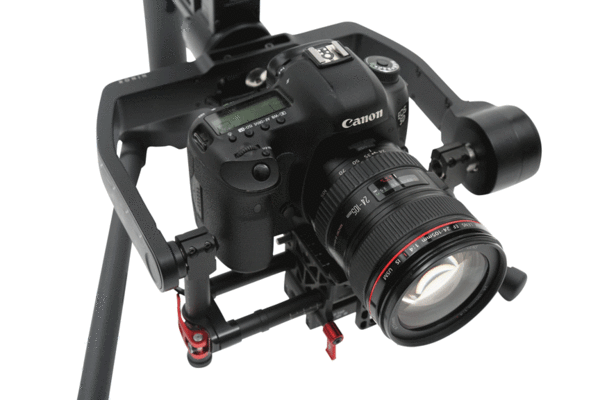 SmoothTrack settings from speed to deadband to acceleration are fully customizable, and ‘Single Axis Follow Mode’ enables you to lock two axes while SmoothTrack guides your camera along only one axis of motion. ENDLESS SHOOTING SCENARIOS. ONE FLEXIBLE SOLUTION. Capture shots that are impossible with any other setup. Switch effortlessly between the 3 modes of operation, without adjusting any settings or needing a 2nd operator remote. UNDERSLUNG MODE Film effortlessly and comfortably in the most common shooting mode, holding the Ronin-M directly in front of you at chest level. 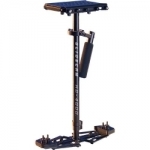 UPRIGHT MODEShoot at or above eye-level by flipping and lifting the lightweight Ronin-M above your head. This mode is perfect for shooting out of a car’s sunroof or above a crowd of people. 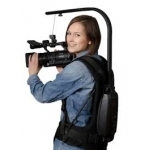 BRIEFCASE MODE Filming in narrow spaces or moving through a doorway is effortless with Briefcase mode. Turn the gimbal vertically and hold it by your side close to your legs, just like a briefcase. LONG BATTERY LIFE Film all day, until you get every shot, with the Ronin-M’s smart battery and a runtime of over 6 hours. Overcharge and over depletion protection is built in, as is individual cell charge balancing. Remaining power is shown by clear LEDs and in the Assistant mobile app. POWERFUL MOTORS. 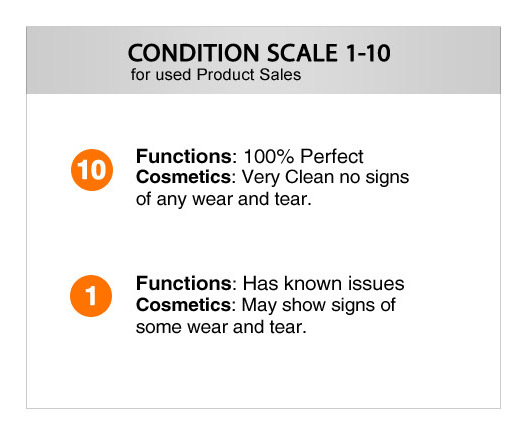 PRECISION CONTROL. Designed with high performance in mind, the Ronin-M’s brushless motors are incredibly precise and powerful while maintaining low vibration and increasing torque. 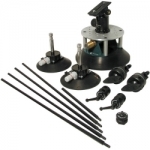 Industry-leading accuracy is increased even further with Digital Absolute Positioning Encoders in each axis, and a much larger range of controllable motion on both the tilt (105⁰ Up, 165⁰ Down) and roll (± 110⁰) axes. SILENT MODE When shooting indoors or in tight spaces, a new Silent Mode reduces the sound of each motor to almost inaudible levels. 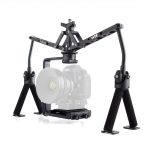 The Ronin-M’s stabilization algorithms are instantly changed to focus on strength for minute changes and stabilization, ensuring the sound of the motors is not recorded by sensitive microphones or other recording equipment. SECOND OPERATOR FOR IMPOSSIBLE SHOTS Capture anything you can imagine with a second operator controlling the camera’s movements as the first operator moves around set. Achieve perfect framing and complete more complex camera movements by working together and making your camera’s motions completely independent of the person holding it. MOUNTS TO ANYTHING Easily mount your Ronin-M with a quick-release system that is compatible with a wide range of universal connections. Remove the top bar assembly in seconds and put your Ronin-M on a jib, crane, tripod, or anything else. 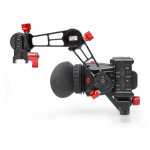 COMPATIBLE THUMB CONTROLLER Gain more control over your camera’s motions with a built-in receiver that is fully compatible with the optional DJI Ronin Thumb Controller. Point the camera in any direction and save preset settings for fast, easy operation. POWER YOUR TOOLS A dedicated power distribution box keeps wiring to a minimum while providing power to your key accessories. Two regulated 12V P-taps, one 500mAH full-size USB connector, and a DJI Lightbridge connector enable you to connect and provide power to everything you need.